It is as simple as that ... and here is the monumental tragedy of current healthcare leadership behavior. 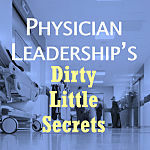 I have asked thousands of physician leaders - both physicians and non-doctor senior leaders - if they schedule time to round on or shadow their people. Their response is always the same. Just yesterday in a room of 30 CEO's and CMO's from independent groups around the USA, I asked that question -- and how many hands went up do you think?? The next words out of my mouth were "shame on you." I am sure that is something they have never heard from a speaker before -- and yet they knew my critique was spot on. 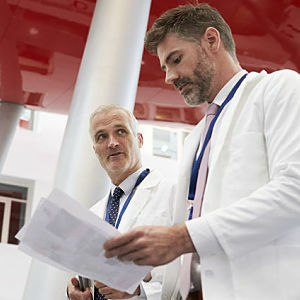 In our work with physician leaders across the country, it has become clear that physician leadership and physician burnout share five distinct and invisible connections. No one talks about these risk factors - even in MBA training - so we have started calling them "Dirty Little Secrets". 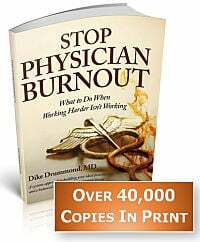 If you are a physician leader and don't have the tools recognize and mitigate for these burnout connections ... you will struggle. So we created a new series of short, powerful trainings to help you avoid these traps that are built into the fiber of physician leadership. 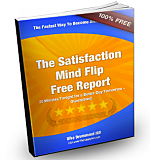 Your leadership style goes a long way towards determining your team’s results. As a physician leader, your style organizes the way your team functions and creates your team member’s experience of “playing” on your team. For most of us, our leadership style is invisible. It is simply not something we are aware of when we are using it. For most doctors, that is a problem. We graduate from residency with a specific physician leadership style/paradigm that gets in the way of our effectiveness and makes us work way too hard. One of the big practice challenges most of us face is a frustrating gap in our physician leadership skills. We step out of residency and are instantly installed as the leader of a multidisciplinary team charged with delivering the highest quality care to our patients. This new physician leadership role can be daunting. We are prepared to diagnose and treat … but what about all the other questions about patient flow and personnel issues that come our way? At times It can feel like you don’t “have what it takes” when, in fact, this physician leadership vacuum is a natural consequence of our medical training and medicine’s unique business model. 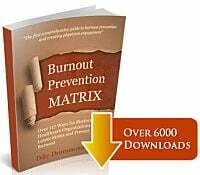 And if you take on a leadership role in your organization - say, a medical director or CMO - your inability to navigate a complex bureaucracy and intricate matrix of relationships will become immediately apparent. 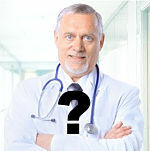 How can you be an effective physician leader, when all you were taught to do is see patients? Here are three challenges to acquiring physician leadership skills that are hard wired into our training process – with suggestions on how to bypass them for a better day at the office for you, your staff and your patients. Without these skills you are doing all the heavy lifting for your team and working WAY too hard. Often that team is quite dysfunctional because of a basic cross wiring in the command and control of the team. A doctors and nurses post on KevinMD.com last week hit a nerve. It was titled “Listening to Nurses is a Key to Being a Good Doctor”.